Barcelona winger Ousmane Dembélé has acknowledged that he's made mistakes since moving to Catalonia but is getting help from his teammates to focus on football, according to club captain Lionel Messi. The World Cup winner has spent the last 18 months on the books with Barcelona, making 45 appearances across all competitions where he's scored 14 goals and claimed 13 assists for the reigning La Liga champions. However, most of his time at the club has been marred by problems off the pitch - similar to his brief spell with Borussia Dortmund - which often makes the headlines ahead of Dembélé's impressive performances for Barcelona. 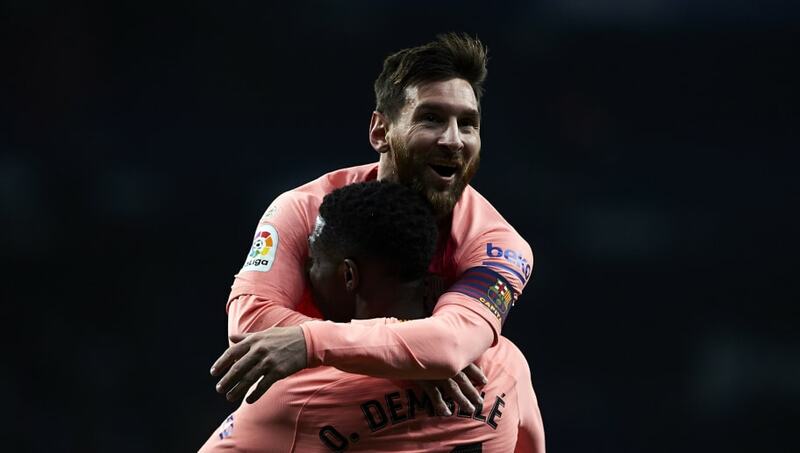 But according to Messi, the 21-year-old is starting to turn things around and his teammates are chipping in to help Dembélé keep focused on football. "On the pitch, he is a phenomenon and it depends on him," Messi told Marca. "He has all the opportunity in the world to do what he wants. He can be one of the best. "On the other hand, he's a young guy who is adapting to the city and the club. "The less you speak about it, the better. It's necessary to leave him so he can be calm. He has already realised his mistakes and has rectified them. We are going to help him focus on football." Dembélé briefly held the record as Barcelona's record signing when he swapped Borussia Dortmund for Catalonia in 2017, a deal which cost the La Liga side €115m. Philippe Coutinho's arrival from Liverpool months later for €130m eclipsed Dembélé's transfer fee. Dembélé Has only ever played for three clubs during his professional career. He spent six years working up the ranks at Stade Rennais before being snapped up by Dortmund in 2016. The youngster went on to make 50 appearances for the Black and Yellows before being shipped out to Barcelona.